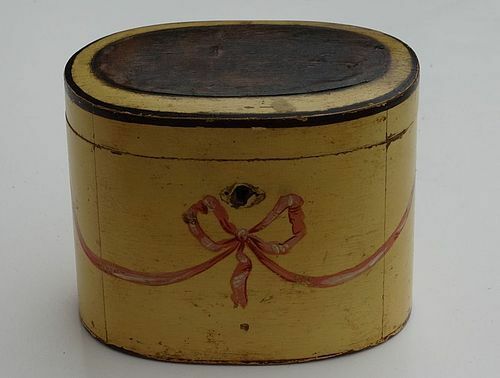 Oval tea caddy with decoupage paper on lid, has escutcheon but not shown in photos. Sorry. A choice painted tea caddy.